A rural lifestyle welcomes anyone interested in space and a little privacy. 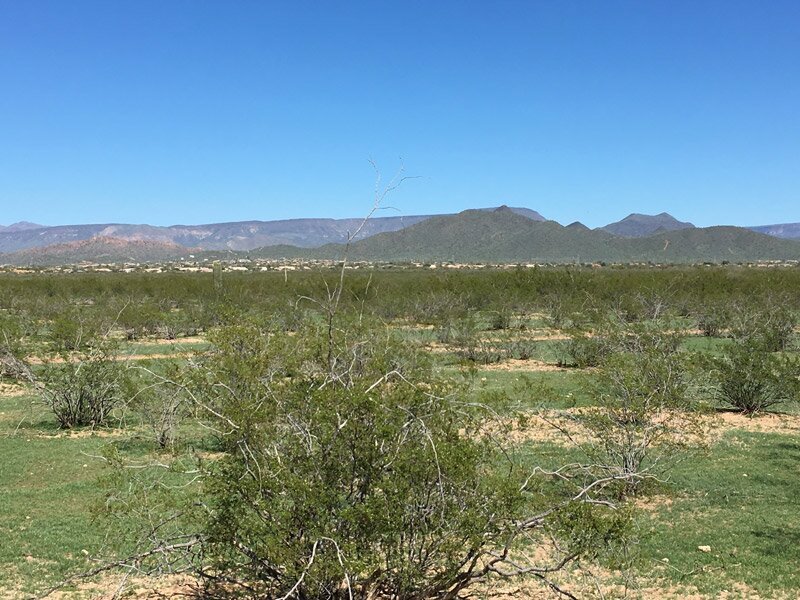 Desert Hills is an expansive area that includes many custom homes on large lots, including some with an acre or more and room for boats, RVs and horses. Residents are not subject to a homeowners’ association, so there is significant variety of architecture and landscaping. Unlike HOA communities, there are few shared community amenities in Desert Hills. It’s all about home, land and a wide-open sky. The Outlets at Anthem and a Walmart are just within 20 minutes of most Desert Hills homes, though time depends on proximity in this large area of land. Additional shopping districts are 20-30 minutes south: the Shops at Norterra and the Happy Valley Towne Center. Several regional parks that offer hiking, fishing and boating are all within 30-minute drives, including Lake Pleasant, just 25-35 minutes away. Other shopping areas along Carefree Highway and in Cave Creek are closer for many Desert Hills residents. Sky Harbor International Airport is 40-50 miles to the south.